Away from the city noise and still close, the is a 0.5 Km drive from the Railway station and 20 Km from the airport. 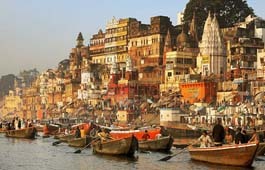 Tourist places, shopping areas and ghats all in close proximity. A grand 4 Star hotel with a perfect blend of contemporary international standards and time honored tradition, offers a complete range of dining and entertainment facilities. 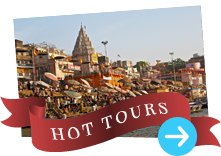 The Hotel is an infusion of tranquility, pampering and a myriad of leisure pursuits at the doorstep of the holy city of Varanasi. Elegant accommodation and satisfying amenities combined with our service create an engaging atmosphere that provides a welcome oasis for business and leisure travelers. Doctor on call, Laundry, Money Changer, Fax, Safe deposit, Valet, Travel Desk service, Meraden Tours and Travels in Lobby.